I have a 94 gst. I bought the car not running. Guy told me that it had a 6 bolt swap in it with a 7 bolt head. Well I pulled the engine and it is a 6 bolt crank. 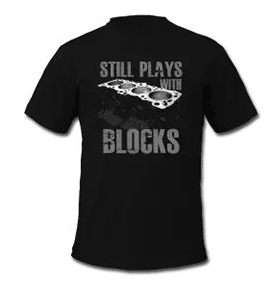 And I'm gonna assume that the block is a 6 bolt block bc all internals were stock and stock bore. So my question is. Will a 7 bolt head work on a 6 bolt block? And how can I tell the difference between the 6 and 7 bolt head, and 6 and 7 bolt blocks.. And what will I have to do to make it run properly?. I have a rebuild kit already and I'm going to go .020 over. Nothing to crazy. Just want a fun daily driver. Depends on if its a 1g seven bolt head or a 2g seven bolt head, the 1g seven bolt head is for the most part the same as the 1g six bolt head, the 2g seven bolt head has smaller intake ports but can work on the six bolt block if you open up the head bolt holes in it as the 2g seven bolt head uses smaller bolt holes. There are many threads on how to tell the difference between the six bolt and seven bolt blocks.